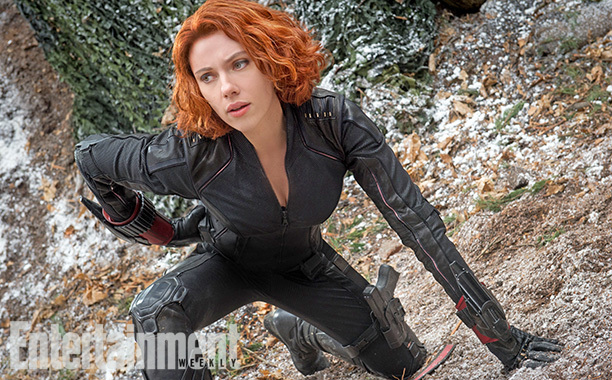 First Official Images From ‘Avengers: Age Of Ultron’ Revealed! 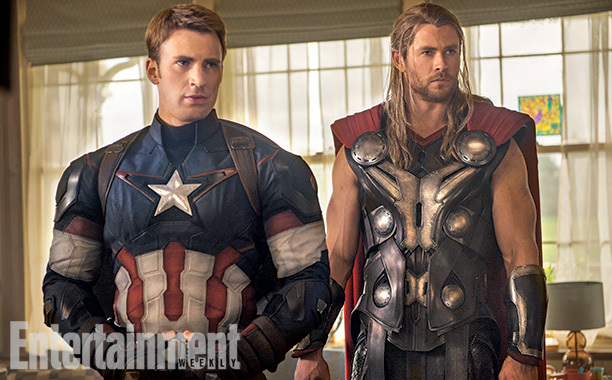 We finally have our first official look at ‘Avengers: Age of Ultron’! 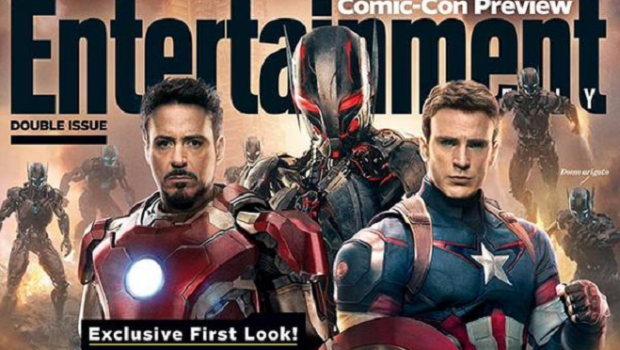 Entertainment Weekly had the scoop with their reveal of the latest cover featuring Iron Man, Captain America and our main protagonist, Ultron! 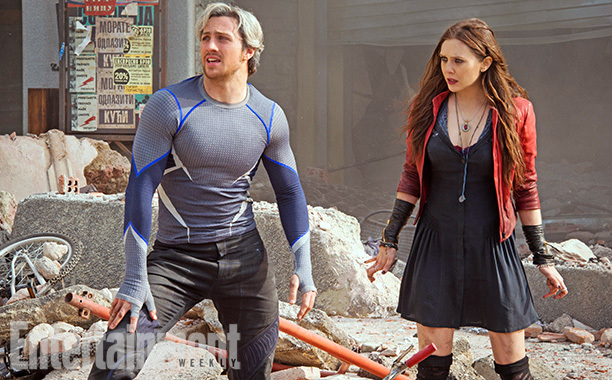 Notice that Ultron seems to be bringing some friends of his own to the Superhero party! 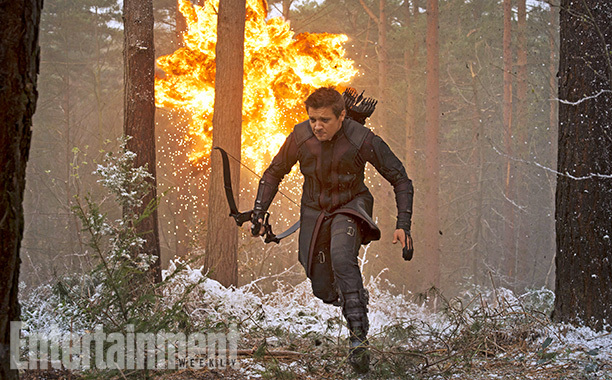 Along with the front cover reveal, Entertainment Weekly also had some more images from the movie including some behind the scenes shots involving the movie’s director, Joss Whedon and a nice little shot of all the heroes costumes hanging up nicely in a row. 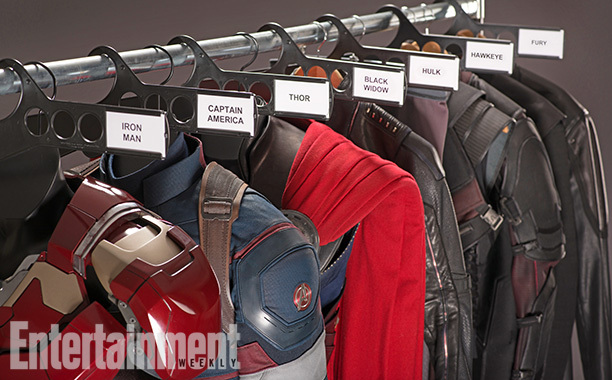 Wonder if that’s how Tony has the wardrobe set up in Avengers Tower? 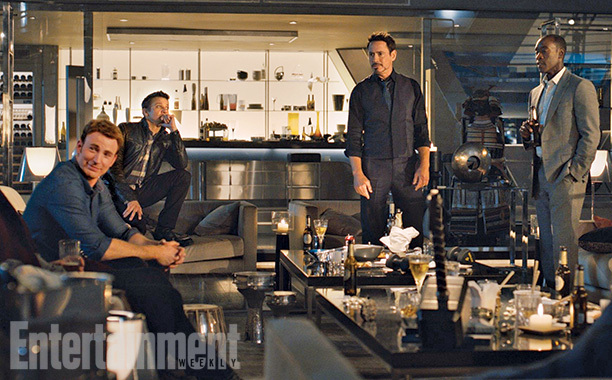 Also, joining the team for a nice little drink, is Don Cheadle’s Rhodey. War Machine/Iron Patriot to appear and join the team in battle? Can it be May 2015 yet?? No, wait…. Guardians of the Galaxy first. THEN it can be May 2015! 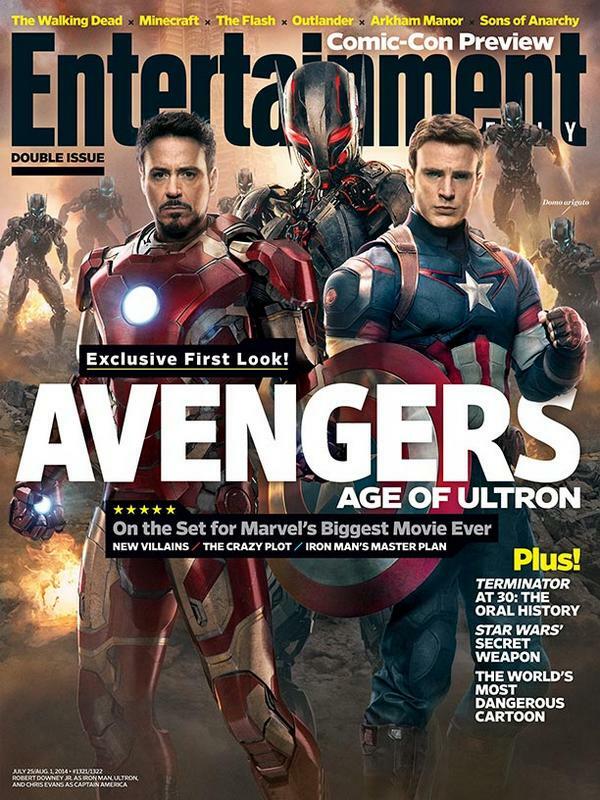 UPDATE: We now also have a version of the Entertainment Weekly cover without the text. Not giving anyone ideas, but it would make a decent phone lockscreen or background if you ask me! 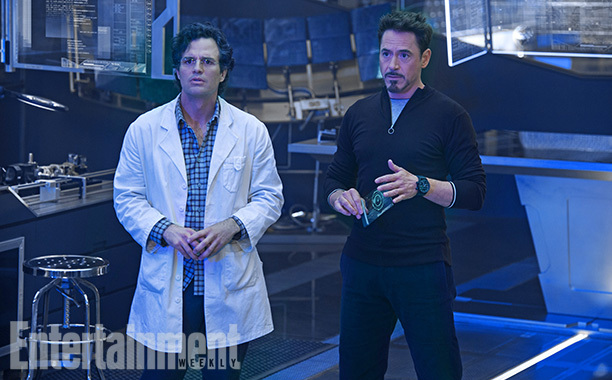 Avengers: Age of Ultron is still filming in London, and stars Robert Downey Jr., Chris Evans, Mark Ruffalo, Chris Hemsworth, Scarlett Johansson​, Jeremy Renner, Samuel L. Jackson, Thomas Kretschmann, Aaron Taylor Johnson, Elizabeth Olsen and James Spader. 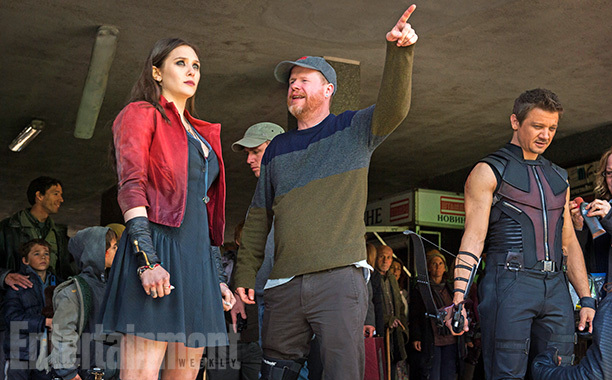 Directed and written once more by Joss Whedon. 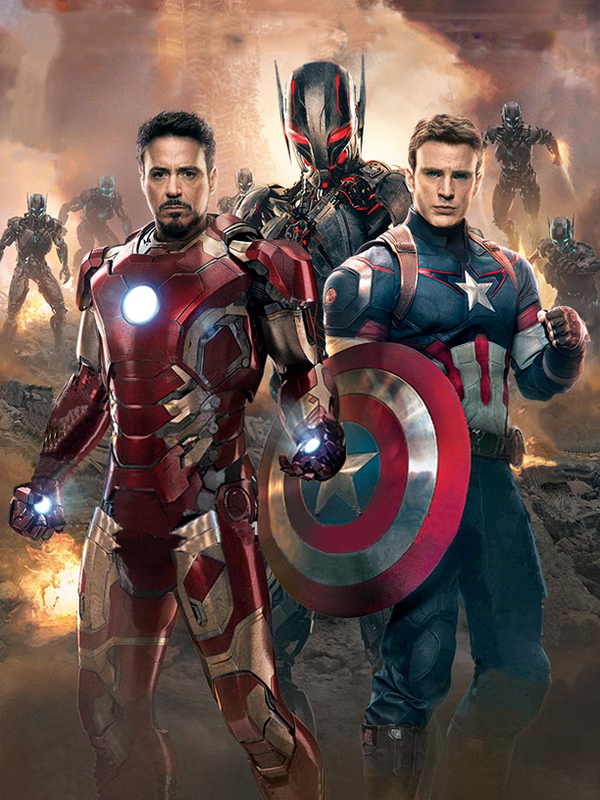 Avengers: Age of Ultron will open on May 1, 2015.